Picture this: You’re able to acquire subscribers, but usage is low and churn rates are rising fast. A nightmare, right? Unfortunately, this scenario is all-too-common for subscription companies that aren’t working hard to maximize subscriber lifetime value. Just signing up subscribers without ensuring that they remain engaged with your brand and product is not enough in this market. 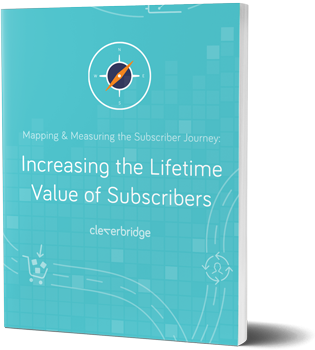 The most successful subscription businesses optimize for long-term subscriber relationships and profitability. Download this free ebook to learn how your business can duplicate this approach. It's packed with tried-and-true methods to unlock more value from your hard-won subscribers. Do You Sell SaaS or Cloud Services? Customers stay with services they enjoy using. Business is won and lost in the customer experience. In today’s world, customer experience — not the products you sell — is the easiest way to differentiate your business.